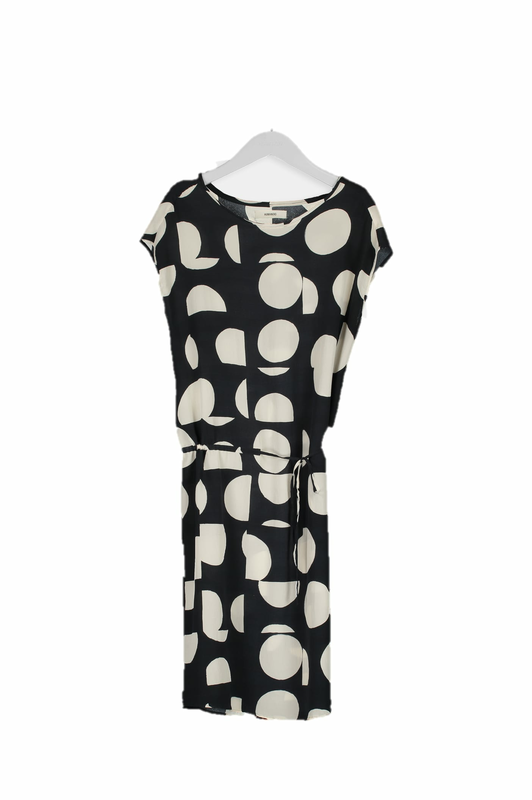 Humanoid Emma dress in black and white abstract-patterned silk. Sleeveless dress with wide, round neck and partly stitched belt in matching material. The EMMA is made from light and airy silk. The fabric is soft and supple, while it is also light and airy enough to wear on warm summer days.